Alpha HVAC/R and Appliances, Inc. There are a few things to consider when installing any type of air conditioning in San Francisco. Air conditioning is a near necessity in certain parts of the country in much the same way that heat is a necessity in others; however, in San Francisco, air conditioning is not needed to the extent it is in places like the southwest or deep south. Since the Bay Area is home to some of the most consistently pleasant weather in the nation, homeowners might not require the same degree of temperature control as would be needed in other places. Because of this, the options for successful San Francisco air conditioning are more varied. Knowing your options is, therefore, especially important if you want the most comfortable home at the most reasonable price. When it comes to air conditioners, San Francisco residents have the same options as anyone else in the country; however, nearly every type of air conditioner on the market is appropriate in the Bay Area. For a good portion of the year, the effects of San Francisco air conditioners are easily approximated simply by opening a window or two. When the weather does get hot enough to necessitate using an actual air conditioner, though, there is no substitute for an effective, efficient, and convenient unit. If you only need one or two rooms cooled, window units that are available at department stores or home improvement centers should work just fine. For those who want the comfort of air conditioning in every room of the house, central air is far more efficient and cost-effective. 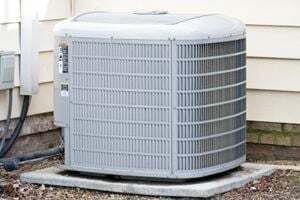 Central A/C is, of course, the golden standard when it comes to cooling a home. The problem is that, if you don't already have it, it can be expensive to install. Additionally, with the large amounts of ductwork needed for many central A/C systems, installation might require taking up valuable storage space. Homeowners in San Francisco who don't already have central air might consider ductless or mini-duct A/C to reduce the amount of space that will be required for your new system. For homeowners who already have central A/C, but have a unit that is over 10 years old, purchasing a new, more efficient condenser can improve your system's performance and save you money on monthly bills, too! The Bay Area's annual temperature changes, though not dramatic, are still enough to require both heating in the winter and cooling in the summer to keep the inside at a perfect temperature; having a unit that can do both through the same ductwork can be very convenient. Heat pumps are an excellent alternative to having separate furnaces and air conditioners in San Francisco. Though they aren't optimal in areas that are particularly hot or particularly cold for several months out of the year, in San Francisco, heat pumps will do a fine job heating and cooling efficiently all year round. The cost of installing air conditioning in San Francisco is, of course, quite varied depending on the size and difficulty of the job. We've seen Bay Area central A/C systems installed for $3,000, systems installed for $10,000, and everything in between. Your best bet when searching for the best system at a reasonable price is to talk to several different contractors and get bids from each. It is also a good idea to discuss the advantages (if any) of installing a heat pump, ductless, or mini-duct system; in these cases, the advice of a professional can go a long way in creating a comfortable home, and it could save you money on monthly bills, as well! One of the most effective things you can do for any existing system is to keep up with repairs. In San Francisco, A/C repairs are particularly important for systems that are in the 5 to 15 year old range, as these units are often performing passably, but not quite up to maximum efficiency. Since most homeowners won't need to run their systems 24 hours a day for any extended period of time, San Francisco A/C repair is probably not going to be necessary every year (as it is in some other parts of the country), but to keep your system consuming as little energy as possible when it is needed, it's not a bad idea to call for inspection at least once a year. The cost of San Francisco A/C repairs and inspections can vary dramatically from one company to another, so even though these tasks are significantly cheaper than installing new air conditioning, it is still a good idea to get estimates from a few different contractors before deciding on the one you will use. If an annual air conditioning inspection runs you $100, but saves you $1,000 over a 5 year period by identifying small problems before they become large repair costs, you'll save $500; that savings can increase quite a bit if you go with a company that offers inspections for $50 (or decrease if your company charges $150)! Comment: I have a forced air gas furnace in my 1951 built house which replaced my previous gravity furnace about 10 years ago. About 5 years ago we supplemented it with a Carrier air filter attached to the furnace which received the air from the two air intakes from the first and second floors of our home. My wife and I have nasal allergies to pollens of many types as well as dust and she has mild asthma. We ar wondering if we could improve on our existing filtering unit. Comment: I live in a 1250 square foot condo, first floor. I have forced air heating already. I'm looking for a price estimate and installed to put in central A/C. San Francisco HVAC & Air Conditioning Contractors are rated 4.76 out of 5 based on 437 reviews of 9 pros. Not Looking for Air Conditioning Contractors in San Francisco, CA?